Usually people only realize how important their garbage disposal is when it stops working! If loud noises are coming from your kitchen sink or your garbage disposal has unexpectedly stopped working, don’t reach into your sink’s drain. Reach for your phone and call the pros from Orange County Plumbing Heating &Air Conditioning. It may seem like your garbage disposal is able to “eat” anything, but even the top-notch disposal units can eventually get “indigestion”! In order to maintain your garbage disposal in the best working condition and to avoid a new garbage disposal installation, you should not feed it the following items: grease, fats, oil, lard, paper, wood, large or hard food items, meat, skin and bones, celery, banana peels, coconut shells or pineapple shoots. 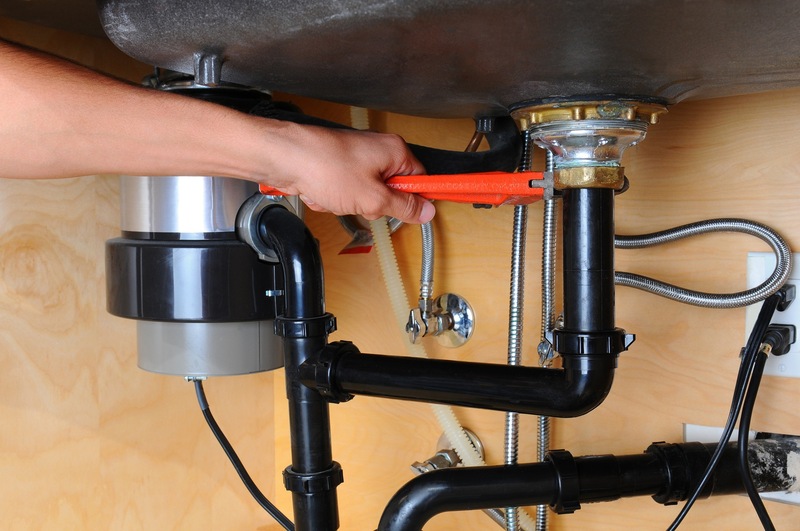 The proper maintenance of your garbage disposal will prolong its existence. A small electric motor usually powers most of the garbage disposals on the market. Impellers are connected to the motor which spins them at high speed, converting solid food into liquid. The running water from your sink helps the process. If the motor jams, find a RESET button at the bottom of your garbage disposal, turn it off, wait for a few minutes, then strongly press the button. If this does not help or your garbage disposal continues to not work, making loud or unusual noises, do not resort to panic. Contact us at Orange County Plumbing Heating &Air Conditioning! If you require a new disposal, a repair to an existing disposal, or you simply need a yearly maintenance plan, Orange County experts are at your disposal ready to help upon your first call!